Here is a complete review guide along with in details information of this amazing creation of Porter-Cable. Go through it, order one from the market and thank me later! PORTER CABLE FN250C : Why? Among the finish nailers from porter cable, FN250C is most popular among the users. Other nailers of this company like Porter Cable BN200B or Porter Cable BN200C this machine has world class features which will be discussed below. Stay Tuned. 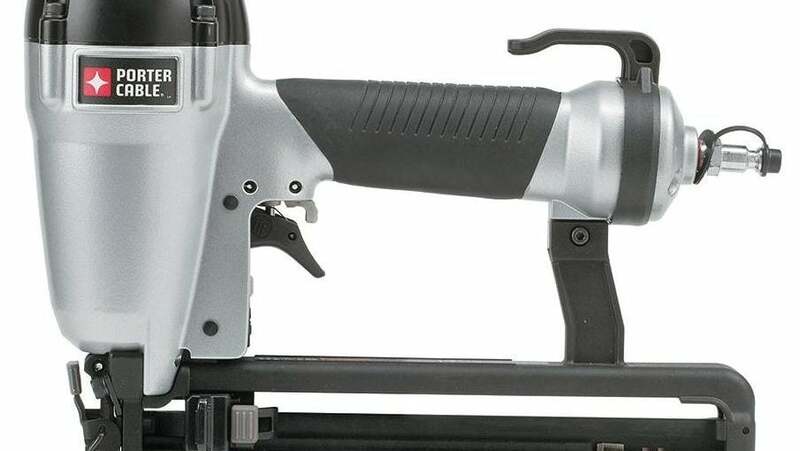 Porter Cable FN250C finish nailer has an excellent reputation of quality services and improved performances. It is quite capable of ensuring the delivery of a powerful punch through wooden surface along with safe and secured fixation as well. Don’t get doubtful with its lightweight construction. Despite being made with light die cast aluminum body and weighing only 3.85 pounds, its body is quite sturdy and fit for all tougher operations that you might look for. Due to its light design, you can use it for multiple functions like sideway nailing or overhead operations. Moreover, it comes up with a maintenance-free motor for ensuring more reliability and more lifetimes. I have bought one around 4 years ago, and I can’t even remind of how many times I have used this tool, but still it’s in my tool list- safe, sound and quite compatible. This machine’s size is easily manageable and makes it a conveniently portable for outdoor carpentry as well. You won’t feel any hand pain or any other muscle strain while using this machine for long. My wife is a big fan of this tool among all the machines I do belong. She has some hobbies involving with my carpentry professions, and she often attends in little woodworking along with me. She can easily handle this device. So, you actually don’t need to be a muscled man at all for handling this cool stuff. There is an internal piston that ensures consistent maximum force being applied in every shot on its operation. You don’t even need to think about the proper setting of nail heads as this machine provides you tool-free auto adjustable depth of drive settings. Different nails being ranged from 1 to 2½ inches can be driven with operating pressure of 70 to 120 PSI through wood very easily with this device. A sequential actuation trigger is available along with lock off switch for safety purpose. Easy nail removal feature is also available with tool-free nature. The magazine loading system is of rear load and lock type. There is space of holding two strips in its magazine. After setting strip into the slot of magazine, there is a spring loaded follower to keep the nails retained in place and moved forward sharply when firing the gun. All these tool-free functions of this gun make it quite user-friendly and saving your downtime. No professional or rookie carpenter loves splitting of oil into work place, or the oil stain caught under the nails. To solve this issue and relieve the users, FN250C comes up with another great feature. You will be amazed with this gun due to is its ability to complete your tasks keeping the surrounding completely clean and debris free. Rear bowling exhaust and oil free nature of this tool will keep your working environment germ and filth free. When picking up any firing gun, the very first thing I must consider is all its safety issues and features. Porter Cable FN250C is well aware of this concern as well. There is a built in safety switch in this model to switch off the accident firing off and on. There is a nail indicator for displaying the current nails being available in magazine. So, there isn’t any chance of any dry firing and causing of accidents. Still you need to follow some safety measures while using it. This gun should be kept away from kids and pets. You need to check carefully if there is any electric wiring or water and gas pipes around. Accidents caused by firing can be lethal, and you need to be very careful about that. You won’t love a product if you won’t get it comfortable, no matter how much features it can present. Personally comfort and ergonomics are also given maximum priority by me. I never choose any gun that I don’t think is for maximum comfort. But I have loved the features being provided by FN250C. Integrated rubber grip of this model ensures maximum and improved comfort for user. Removable no mar nose tip and adjustable attaching belt hook ensure the better use of this device. One thing to add, before purchasing one of this model I have heard some complaints regarding stiff triggering. I have also in some doubt whether the trigger will function well or not. But after having the first session with this device, all my confusions got cleared. I have found the trigger of this device quite easily manageable. You can adjust this trigger like all other features of FN250C as your wish. So, the verdict is NO. There is no problem with triggering at all. The main benefit of any 16 gauge nail machine is that they are smaller in size and lighter in weight. They are perfect for heavy trimming. Among my frequent use of different finish nailers on a regular basis, I have quite an experience on this side. But if you tell me to pick one for any random task, then I will pick PORTER-CABLE FN250C 16-Gauge Finish Nailer without any delay or hesitation. I simply love this machine for its simpler operation and wide range applications. I have rarely experienced any jamming or misfiring from it for my long use of 4 years. This is an amazing tool coming up with all your necessary requirements. Enjoy every moment of your nailing experience with Porter Cable. Happy nailing!